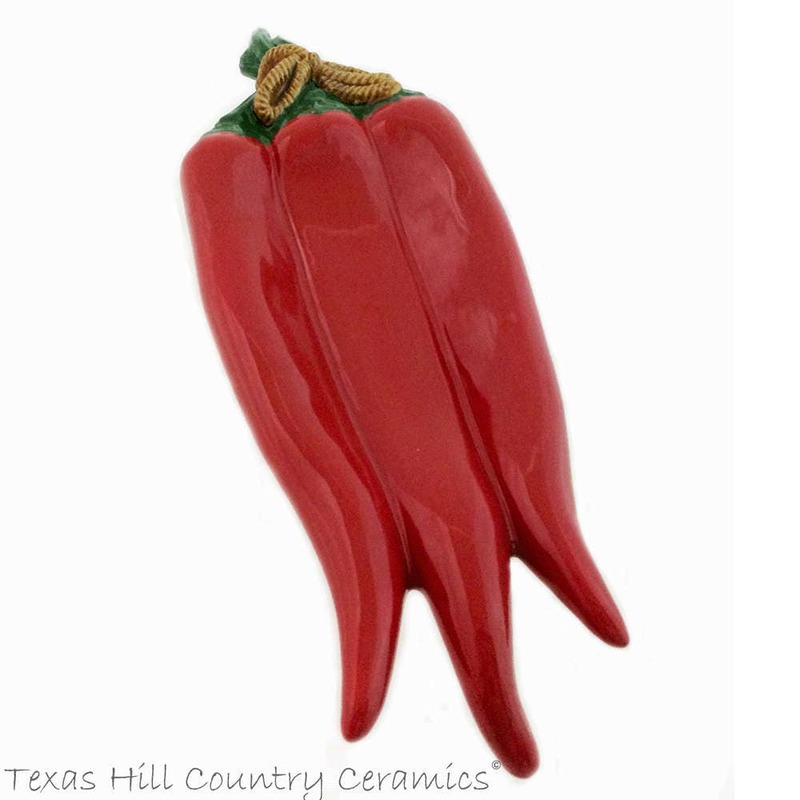 This large red chili pepper ceramic spoon rest is ideal for any southwest style kitchen decor and it will also help keep counter tops clean and neat. 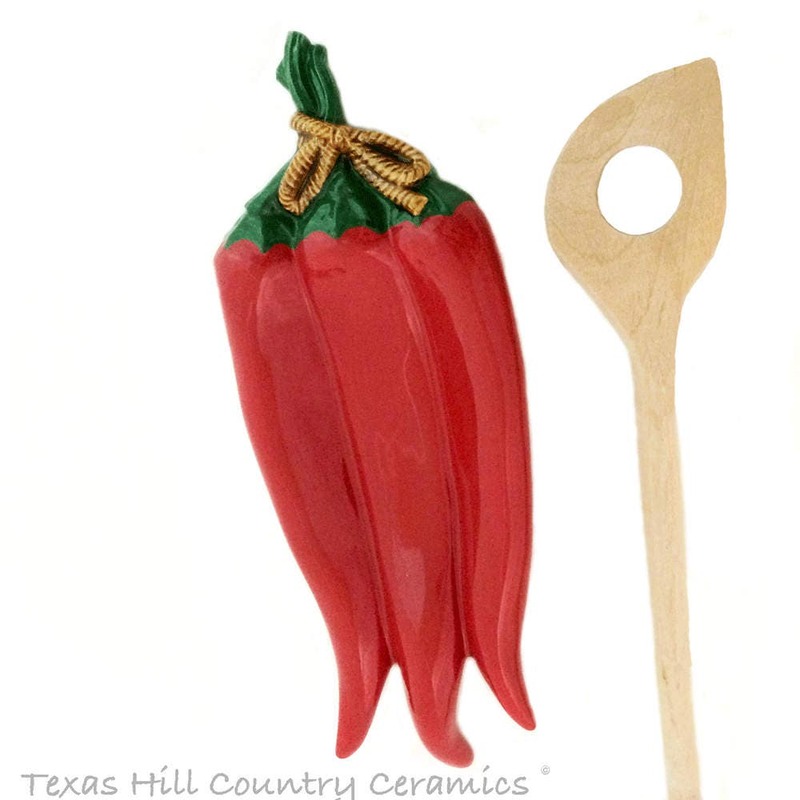 This long red chili pepper spoon rest is made of ceramic earthenware, the spoon rest consists of 3 long peppers, the green tops of the chili's are tied together with a thin brown rope, the peppers are next to each other side by side with the longest pepper in the center. 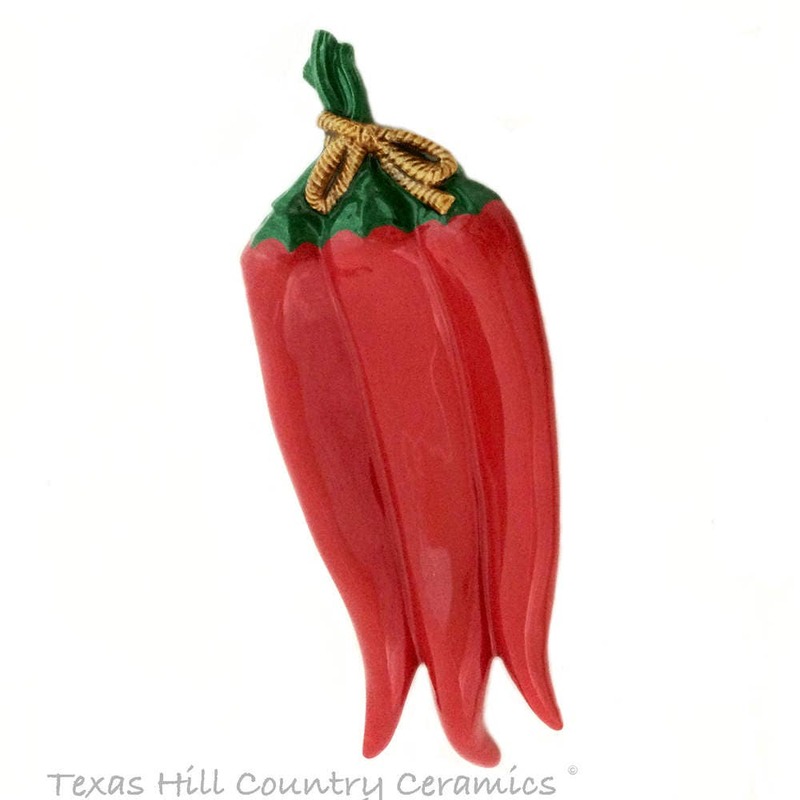 This chili pepper spoon rest can also be used for service buffets, it is large enough to hold several spoons. • 7/8 inches in height on the outer edge. The center of the red pepper is generously recessed for kitchen utensils to sit in and keep liquids contained. Please keep in mind each one is hand made and has its own individual characteristics, the one you receive may have some slight variations from the one in the photo. All spoon rests offered by Texas Ceramic are made in my studio located in the heart of Central Texas, USA. All materials used are the best available from the USA. 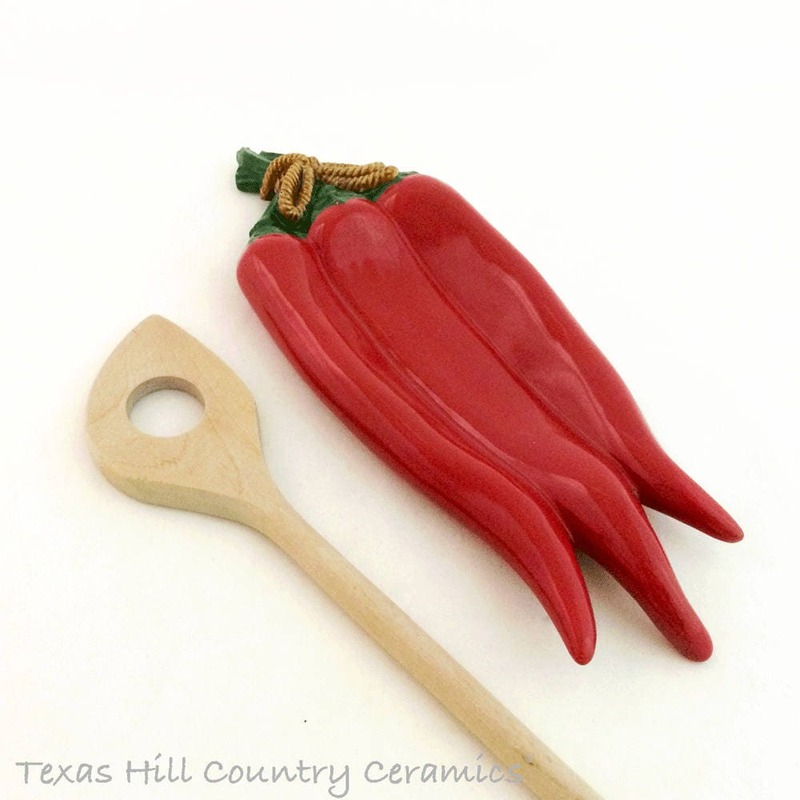 This chili pepper spoon rest is both dishwasher safe and food safe. Love it! Thank you for packing it s good. Very nice - super great packaging! Love it, thank you! !